Research by The Color Institute has shown that consumers make judgments about products in large part based on color alone. As much as 90% of that assessment. Shoppers cite that color is the primary reason they choose one product over another. 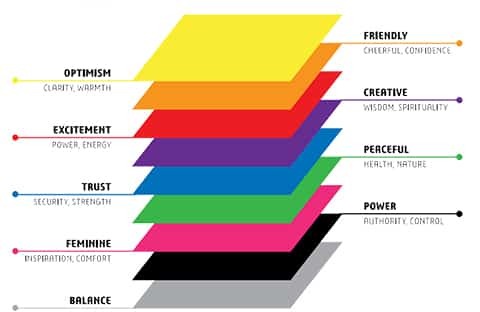 The psychology of color is important. Very important. Consumers first experience with a product is usually through sight and that is about shape and color. Almost everyone reacts to a color in the same universal way. We instinctively associate red with passion and blue with calm for example. But that universal recognition can be modified by geographic cultural and social influences. People react differently to pink for instance in China than they do in America. On top of that, each person has his own personal color ‘experiences’ that further color their ‘relationship’ with color. All this adds up to people knowing instinctively when something is wrong; and when something is pleasing. When the color message is wrong they just won’t buy. The challenge for marketers is to figure out the message they are trying to convey and to translate that into colors that work. Brand recognition is intrinsically linked with color and color attaches itself to the brand. When a brand successfully ‘owns’ a color it is a game changer for them. Laying claim to a color can be a turning point in sales and profits but many companies just don’t take this into account. As soon as the brand attributes or personality of a company have been identified then the colors that are associated or give credence to those attributes should be brought to bear together with other design influences such as logo and font. Everything in life has color and making a strategic decision can give you and your company a smart leverage in promoting your product in the marketplace.